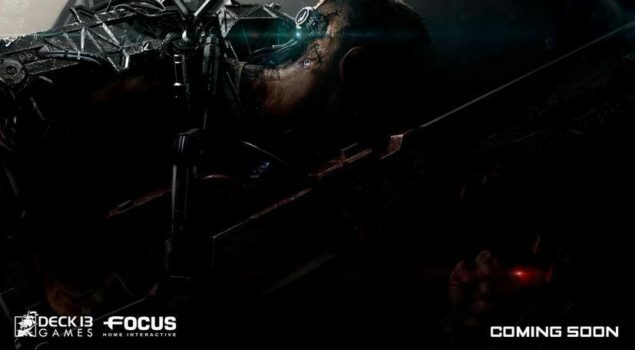 The Lords of the Fallen developer, Deck 13, have announced that they have a new game in the works, though it’s not the Lords of the Fallen sequel. Deck 13 is working on a new IP, an action RPG set in a dystopian Sci-Fi future. The details are supposed to emerge ‘at a later date’ which means that we might even learn more information at E3. But what we do know is pretty exciting given their already great development credentials. Action RPG’s have seemed to be limited to medieval and fantasy settings, which are fantastic, but science fiction settings have been few and far between. This will be a breath of fresh air if the concept is indeed swell. Focus Home Entertainment has partnered with Deck 13 to realize this dream, and they are optimistic that this affiliation will result in something great for us gamers. We are ecstatic to announce this new partnership with one of the very best independent European development studios. We’ve been excited by Deck 13’s new project since our first exchange with them, and as we’ve just got through the pre-production phase, we’re fully convinced by their capacities to deliver one of the most exciting RPGs to come in the future. Lords of the Fallen was a unique and very difficult game, providing very challenging combat combined with an incredibly atmospheric if a bit limited, world. It had its negatives and bugs but was a great proposition and very fun at times. Hopefully the level of commitment that went in to Lords of the Fallen shines through in the new unnamed project. And maybe we’ll get to see some more details at E3 next week.